The Compass: Meet our NEW PRE PTO Board Members! Meet our NEW PRE PTO Board Members! 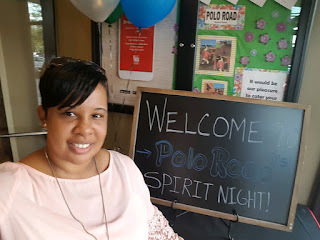 Ms. Brittany Daniels-I am Brittany Daniels, PTO President of THE Polo Road Elementary School! I work in Lexington Two as a Reading Coach, and this is my 12th year in education. I have taught grades 2-5, and teaching children and working in schools is my life's work. I am an active member of my church, and sing on my choir and Praise Team. If I ever have spare time, you can find me in Target or in a movie theater! My joy, my heart, and the absolute apple of my eye is my first-grader, Rhyan, who is in the DLI Program here at PRE. I am honored to serve you, and anticipate great things in the future of Polo Road. 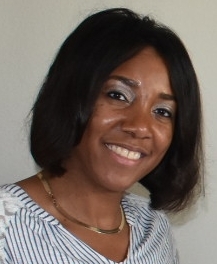 Mrs. Kimberly Washington: My name is Kimberly D. Washington. I am a wife of 11 years to James, a full time IT Manager, and a mother of three wonderful and very active sons: James III (6th/LAW), Justin (3rd/ALERT), and Jonas (1st/DLI). I enjoy managing my church’s nursery ministry, vacationing with family, and relaxing with a great puzzle or book. PTO gives me the opportunity to stay involved and assist with meeting the needs of the school. Mrs. Teresa Fulton: My name is Teresa Fulton and I will be serving as the Assistant Treasurer on the PTO Board. My son, Cameron Fulton, is a 3rd grader in Mrs. Brazell and Miss Barrett's class. My professional experience is in the financial field so I hope to offer my help to the board as best I can for the benefit of the school. Ms. Amanda Whitaker: I was born right here in Columbia SC, but I was raised in Raleigh, NC. I am happily married and I have two beautiful girls ages one and five. I love football and my favorite college team is Clemson Tigers. My favorite NFL team is the Carolina Panthers. I absolutely LOVE working with children! I am the wife of Lemuel and mother of two; Kiara, my 15 year-old cheering diva and Layden, my full of life 5 year old. For over 15 years now, I have worked full time at Lexington County Mental Health Center as a Mental Health Counselor. I am originally from Blenheim, SC where we are known for our famous Blenheim Ginger Ale. I have now been in Columbia for 16 years. When I am free I enjoy shopping and vacationing with my family and friends. I am ecstatic to be on the PTO board and look forward to serving you all. We are the EXPLORERS!! Mrs. Michelle Bennett- I am Michelle Bennett the mother of Cameron Bennett (4th grade) and Madison Bennett (Kindergarten). I am the Membership Coordinator. I work as an investigator for the state of South Carolina. I coach recreational basketball for age groups 4 to 7 and 8 to 9. 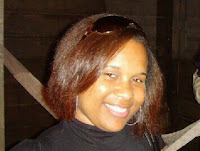 Promotions Director/Event Planner: Mrs. Jacqueline Baskin- I am the Promotions Director/Event Planner for PRE. My child, Alexander "AJ" Baskin is in the pre-k program at Polo Road Elementary. I currently work as a Licensed Social Worker in the Case Management Department for Providence Hospital. Outside of my full time work, I am the Membership Director for a local organization entitled In Pursuit of Me Center for Women. When I do have spare time, I enjoy coordinating and participating in various community service projects in order to assist in helping those who may be less fortunate meet a need. I am very excited to be apart of this dynamic PTO and look forward to having a very successful school year. 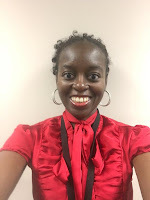 Ms. Rebecca Williams- My name is Rebecca Williams. I have volunteered to be the teacher care specialist. I am the assistant nurse manager at the Birthplace at Richland hospital. I have four children- Kendall (1st grade), Grace (k5), JJ (4), and Cali (1). I enjoy bringing life into the world, cooking for my family, and traveling the world. PTO allows me to be in the know and also help my school community in any way I can! Thanks for having me!